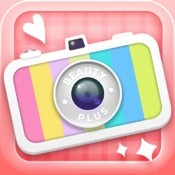 Head over here for your FREE iTunes download of the BeautyPlus app ($1.99 value)! This self-portrait camera app is designed to “enhance” your beauty in an instant. It is the top #1 photo app in Japan, Thailand, and Taiwan.